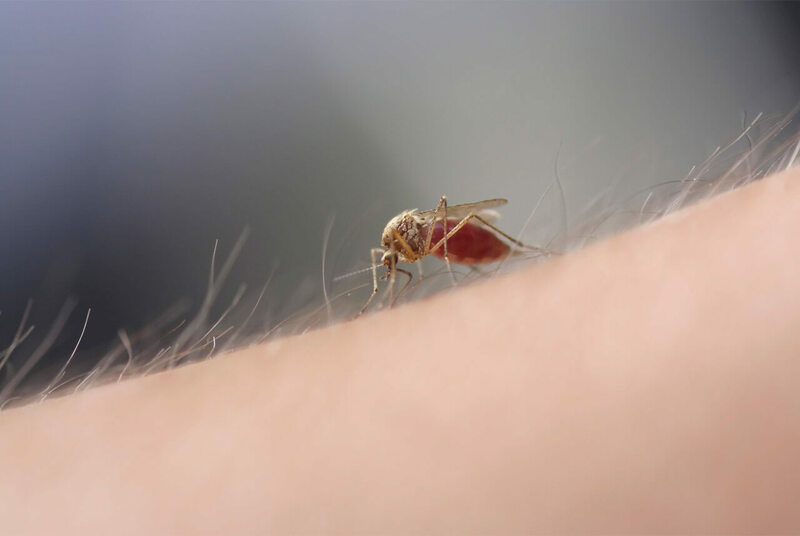 There are numerous reasons why some people get bitten by mosquitoes while others are seemingly immune. Mosquitoes do not randomly select their victims. Scientific studies have shown that blood type, exercise habits, clothing colors and even beverage choices can make certain individuals more attractive to these insect pests. The best way to fight an enemy is to understand it. Although mosquitoes can ruin an outdoor event, that's not their main objective. Here are a few facts about these troublesome insects. Mosquitoes find their potential hosts by three methods: sight (color and movement), chemical signals (odors and C02 emissions) and infra-red radiation (heat). Only female mosquitoes require a blood (protein) meal, which is essential for egg production, but both male and female mosquitoes feed on nectar for nutrition. Humans are not the preferred source of blood protein, however; mosquitoes would rather feast on animals or birds. There are over 3,500 known species of mosquitoes in the world. Most species are active during dawn and dusk and in cooler, shaded areas. Certain species, including Aedes and the more common Culex or Anopheles mosquitoes, are painful and persistent biters that search for a blood meal early in the morning, at dusk and into the evening. Mosquitoes lay their eggs in shallow, stagnant water. Just a few inches of water is all that's needed. Mosquitoes carry viruses that cause diseases such as malaria and yellow fever. The viruses they carry, including West Nile and Zika, can be transmitted to humans and animals through their bites. Mosquitoes cause more human suffering than any other organism. For additional facts, see Mosquito Mania. Mosquitoes use sight, sound and scent to identify their targets. Some of the trigger characteristics that attract these pests are uncontrollable, while others may be avoided. Mosquitoes are able to track us down via specialized neurons in sensing pads that protrude from their head. They specifically search for sources of carbon dioxide, and have the ability to sense it from up to 30 feet away. Athletic people with a high metabolic rate, large individuals, and pregnant women all produce greater than average amounts of carbon dioxide. Strenuous exercise also causes the production of lactic acid, uric acid and ammonia, all of which are compounds expelled through sweat and attract mosquitoes. So, avoid working out outside during dawn or dusk, when mosquitoes are most active. When outdoors, wear shoes and socks, as exposed ankles and feet are targets for mosquitoes. The combination of tender skin, metabolic emissions and bacteria makes for a delicious meal for these insects. Additionally, drink plenty of water and avoid alcohol, specifically beer, which is a proven attractant for mosquitoes. Alcohol increases both respiration and perspiration, while adding yet another enticing scent to the mix. In a study conducted by Toyama Medical and Pharmaceutical University, 13 volunteers were exposed to mosquitoes before and after they consumed 350 ml of beer. The study demonstrated that mosquitoes were more likely to land on the volunteers after they consumed the beer. When dressing for a barbecue, for example, wear light-colored clothing. Mosquitoes also rely on sight to track their targets. Dark-colored clothing tends to stand out against natural surroundings. Finally, know your blood type. Your blood type is revealed through chemical markers on your skin. 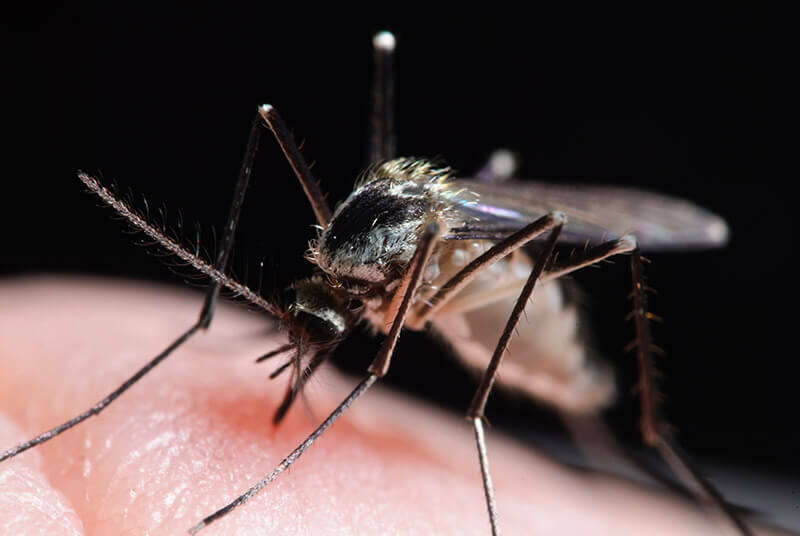 In a study conducted by the Institute of Pest Control Technology, people with type O blood suffered more mosquito bites than any other blood type. If you have Type O blood, you may want to stay indoors or cover up really well. Even when you do your best to avoid known mosquito attractors, it's impossible to avoid all bites. The best way to significantly decrease the possibility of getting bitten is to eliminate any possible breeding areas in your yard. Get rid of any collected water, especially after it rains. Anything that holds even ¼ inch or more of standing water can harbor mosquito eggs. Also address poor drainage in your yard. Drain or fill non-flowing dips, ditches and soil depressions in the yard that hold water. After you've addressed standing-water issues, treat your lawn and landscaped areas with a mosquito killer. AMDRO Quick Kill® Outdoor Insect Killer comes as a Concentrate for use in a pump sprayer or RTS that attaches directly to your hose. This exclusive formula kills mosquitoes on contact so you can get back to enjoying your yard. Amdro Quick Kill is a registered trademark of Central Garden & Pet Company.